Ever since it’s been possible, large corporations have been using technology to automate marketing functions. 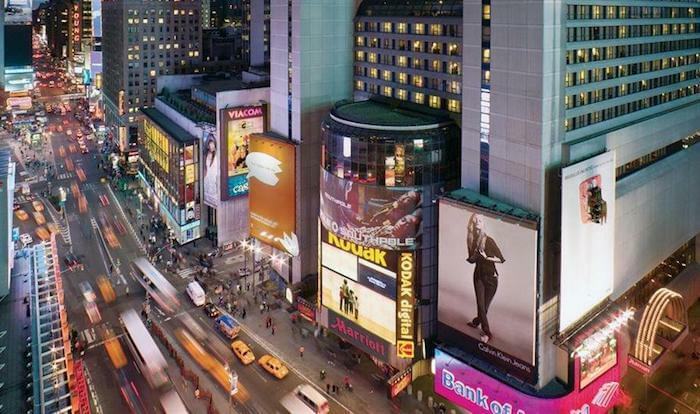 This phenomenon made its mark on marketing technology in a number of ways. Early solutions were (and most still are) robust, feature-rich, and, consequently, complex and expensive. 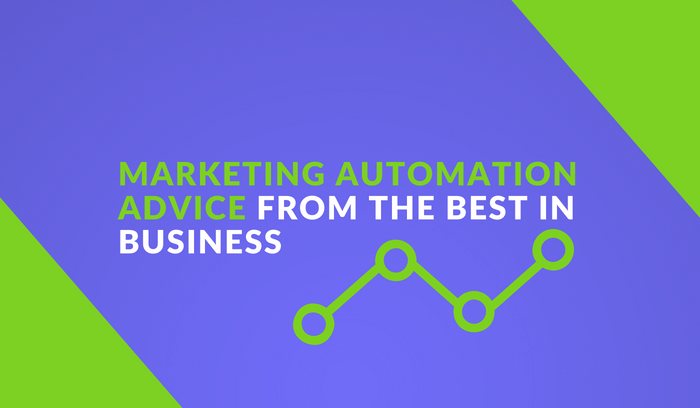 All these features made it hard for smaller companies to implement marketing automation. Even if a small business can afford marketing automation software it will have a hard time getting true value out of it. 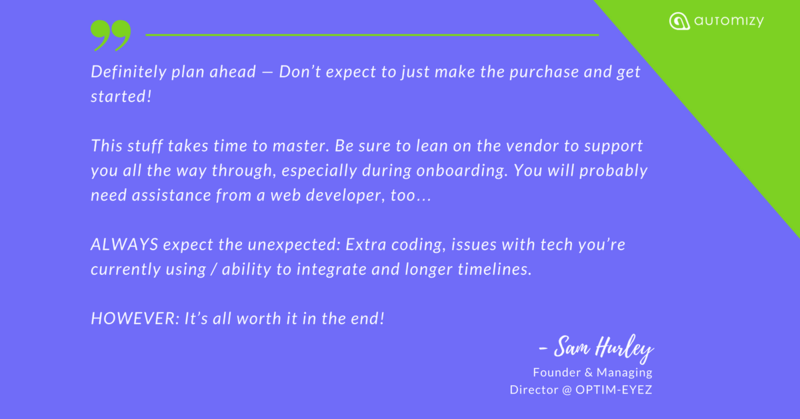 So, as a marketer at an email marketing automation SaaS company, I felt like it was my duty to find out the processes top marketers have a hard time with and what advice they have for beginners. I did just that by surveying over 130 marketing professionals. But I felt like that wasn’t enough. I wanted to share all this insight and data, so I made a roundup article and wrote a 55-page report filled with data to share my findings with the world. What follows is a condensed version of the advice I received back. 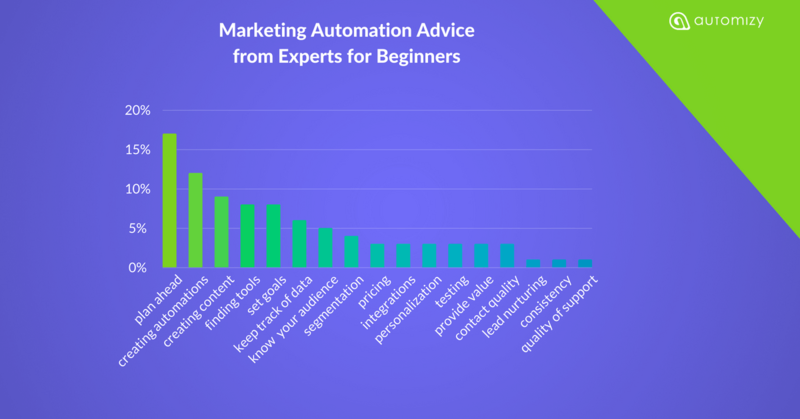 In this section, we’re going to take a look at what people who want to start using marketing automation or have just gotten started with marketing automation should pay attention to. We consolidated this data to recognize trends. You can read more about our methodology in the report. Planning ahead (17 percent) appeared most frequently as advice for beginners. 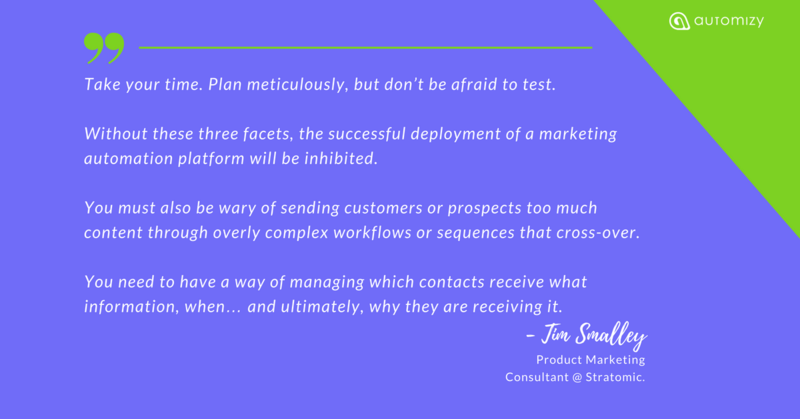 Marketing automation requires a clear strategy to be effective—without that there’s nothing to be automated. Coming in second place, experts recommended that beginners pay attention to creating automations (12 percent). This is no wonder, as automated processes are the essence of marketing automation. Creating quality automations when you’re starting out will save you a ton of resources and frustration down the line. Creating content (9 percent) was another frequently mentioned piece of advice from marketing automation users. Even the most sophisticated automation is nothing without quality content. Eight percent of marketing automation users in our survey said that beginners should pay attention to finding the right software that suits your needs. 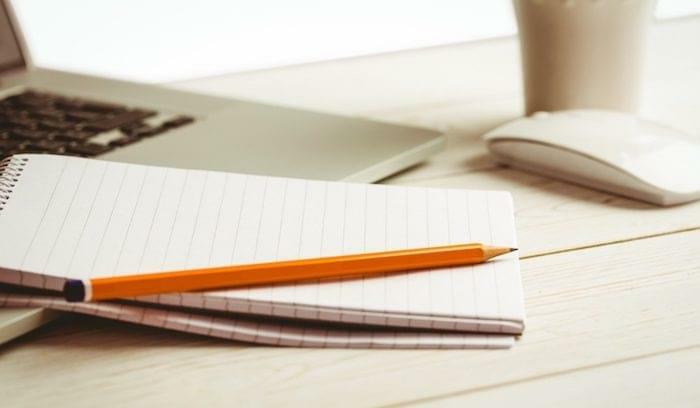 Doing some research and finding a tool that does exactly what you need it to do will make it easier for you to get started and get the results you want. While setting goals (8 percent) may seem similar to planning ahead, setting goals is more specific. It’s more about choosing measurable metrics to compare results against for evaluating the performance of your campaigns and automations. Closely related to setting goals, marketing automation users also recommended keeping track of data (6 percent). It’s wise to segment your audience when you’re starting out with marketing automation, but only 4 percent of marketing automation users mention it. Pricing, integrations, personalization, testing, providing value, and contact quality were brought up in only 3 percent of responses. Still, they are key functions that need attention after you get started. Only a couple of participants mentioned lead nurturing, consistency and the quality of support (1 percent). These might not be your priority when you’re in the beginning, but keep them in mind as you improve. I selected four of the best answers to the question I mentioned previously to provide some more hands-on advice. You can read all the quotes I received from my survey in the roundup article. 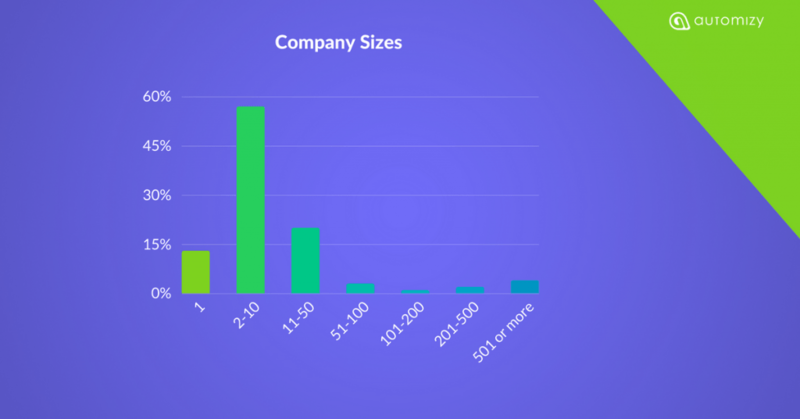 To put this data and advice into context, here’s a short breakdown of the distribution of company sizes, the positions of the respondents, and the industries they work in. In my research, 90 percent of the respondents are from companies with 50 employees or less. 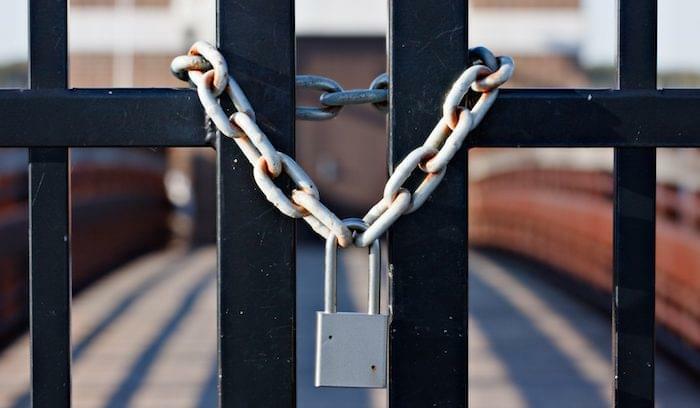 This means that small and micro businesses are overrepresented. Let’s break this down a bit. More than half of the respondents (57 percent) work at companies with 2-10 employees. A fifth (20 percent) of the answers came from companies with 11-50 employees. Seventeen submissions (13 percent) came from solopreneurs. The most submissions (38 percent) came from professionals working in growth positions like marketing and sales. Thirty-one percent of the respondents in our survey are business owners. 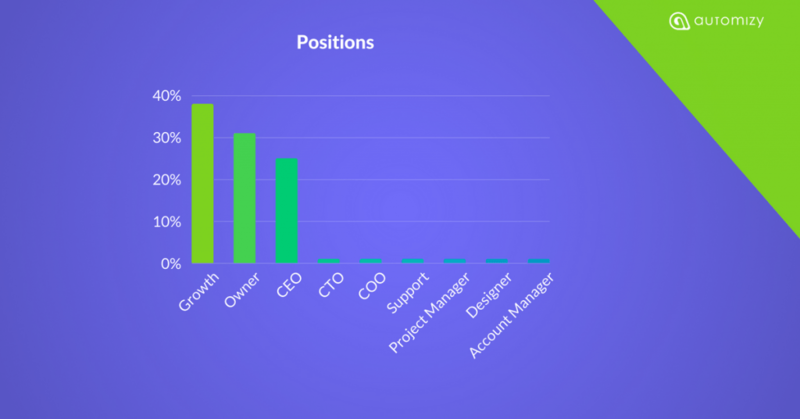 A quarter of the participants (25 percent) are CEOs. Altogether, these three groups make up 94 percent of the submissions. The distribution of industries among the respondents leans toward marketing, with 47 percent of those surveyed working in marketing. This was intentional, as we collected the data so that about half of the respondents would be from marketing. The software development industry came in second in the survey, with 25 percent of the submissions coming from this industry. Non-marketing agencies also constituted a decent amount of submissions, comprising 14 percent of responses. 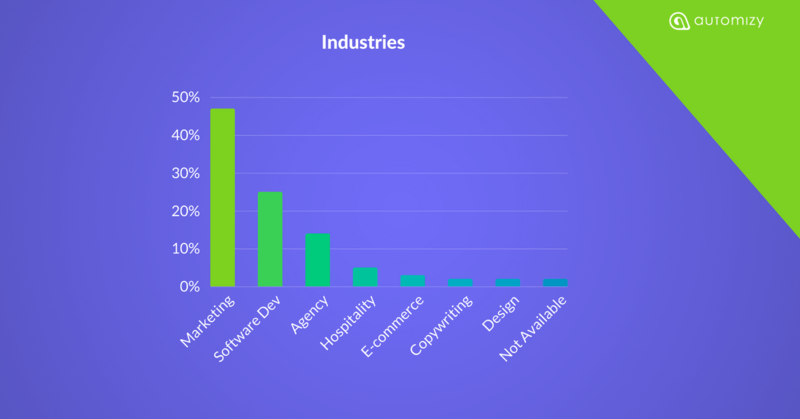 Five percent of the respondents work in hospitality, 3 percent in e-commerce, and 2 percent in copywriting or design. A mere 2 percent of respondents didn’t specify their industry. 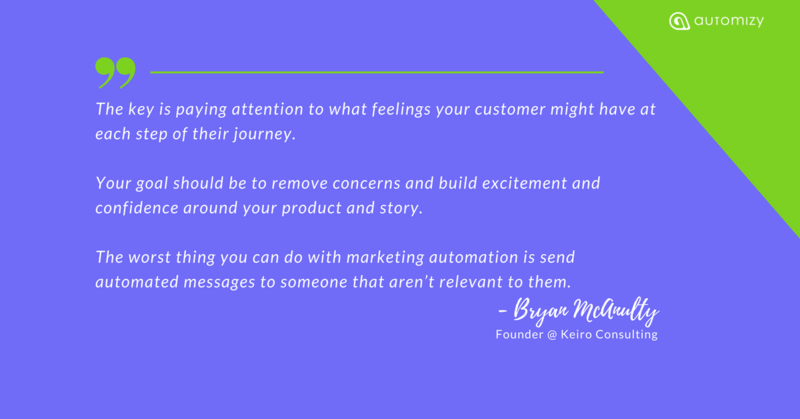 Now it’s time to get out there and start your journey with marketing automation! 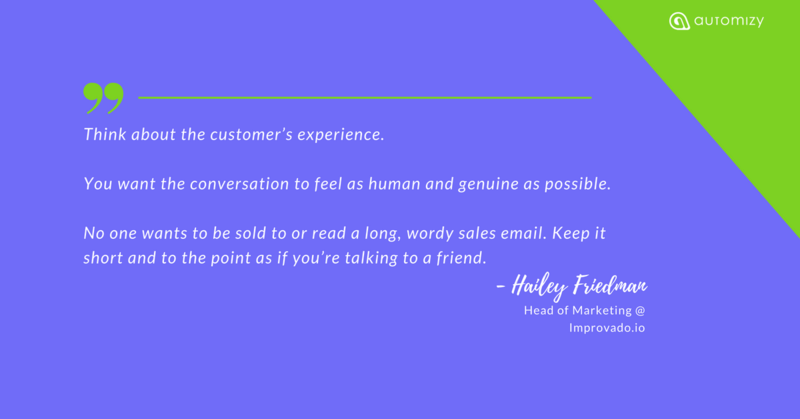 Mor Mester is the head of marketing at Automizy, an easy-to-use email marketing automation SaaS. His mission is to help small businesses and agencies implement marketing automation to increase productivity and consequently revenue.